WHEN you look at every line that has reopened in Scotland, the success has far exceeded the experts’ predictions. The Borders Railway is no exception. 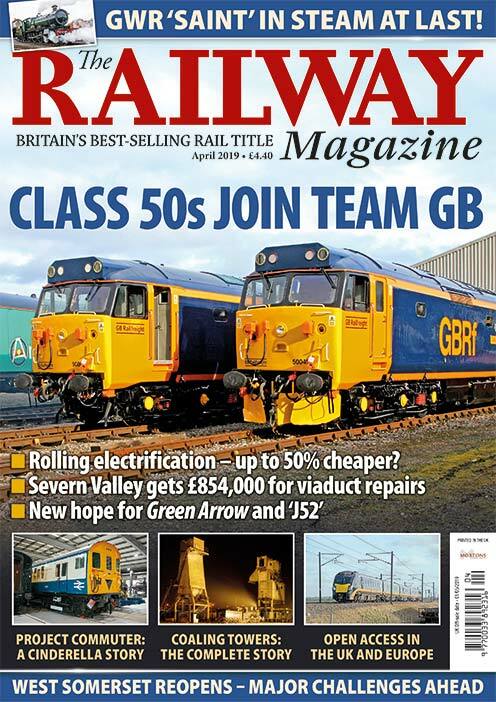 While it may be a totally different line for so many reasons today than it was pre-1969, its re-emergence is a reaction to the phenomenal growth in passengers the rail industry has experienced since Privatisation. The new line has brought in thousands of tourists and day trippers, and it has encouraged house moves to the area; the spin-off being a benefit to shops, pubs, restaurants and other amenities. 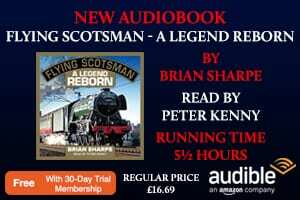 Rebuilding just over 30 miles of line from Newcraighall to Tweedbank has been well reported in The RM, books and DVDs. Passenger figures have far exceeded expectations, but are there things that could have been done better or differently? Q: Passenger numbers have exceeded one million, and could be more than double the predictions. This is excellent news, isn’t it? A: The take up by passengers has been very positive, with exact numbers for the first year due to be announced soon. 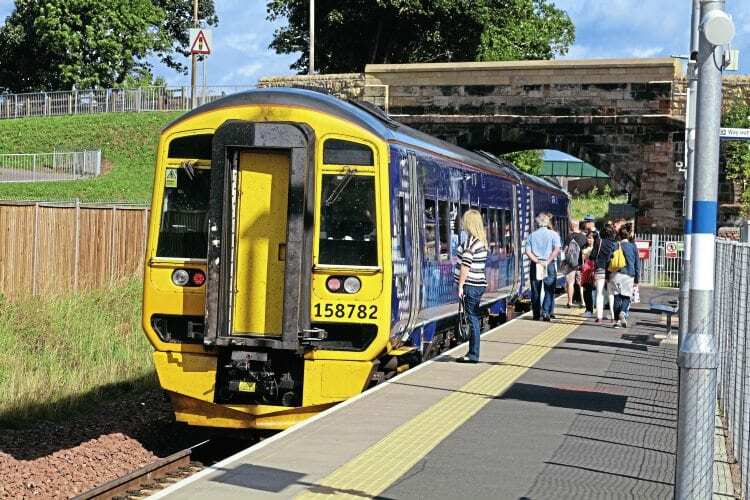 It is clear that passenger numbers are well above expectations, especially at the Borders stations of Tweedbank, Galashiels and Stow. Q: Were projected passenger numbers deliberately understated? A: They were certainly understated – ‘why’ is the question. 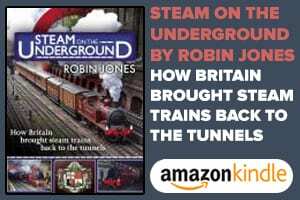 The original plan never even included a station at Stow. Q: Have the bus companies reacted to win back passengers? A: First has actually cut back on its Borders services, blaming the success of the railway. Q: What has been the impact on tourism? A: Figures prove that there has been an increase in visitors to places of interest, including Sir Walter Scott’s home at Abbotsford. CBR argued in favour of tourism-related benefits before the line opened – the official view seemed to ignore tourism! Q: What has been the effect of the line on the housing market and area desirability? A: This will take time, but there is already evidence of demand and prices rising. I know personally of commuters who travel to work in Edinburgh and beyond by train. I also know of one Edinburgh businessman who bought a house close to Tweedbank. His visitors and family spend money in the Borders that previously would have been spent in Edinburgh. Q: Turning to the problem areas, how has train overcrowding impacted the success? A: At busy times the two-car Class 158s have limited space. I travel off-peak most of the time and always get a seat, but some people are not so lucky. The eventual cascade of Class 170 three-car trains will help when the Class 385 EMUs eventually come on stream. Sometimes Class 170s are used, but not enough are available yet. 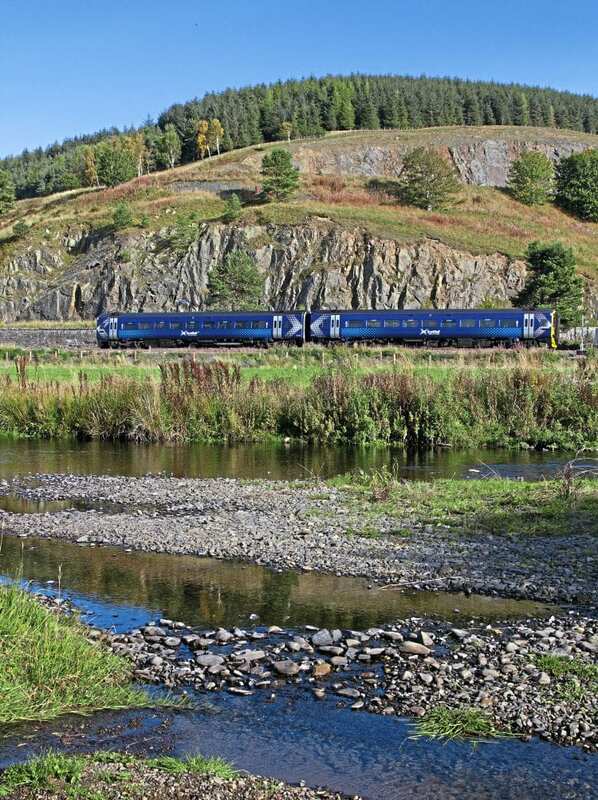 In addition, some Class 158s fail, especially when climbing hills on hot days. Falahill summit is 880 feet above sea level, requiring climbs in both directions. Q: What other problems are there? A: There have been ticket machine failures. This is annoying when it happens, but train crew sell tickets on trains, too. A particular problem is at Edinburgh Waverley, where ScotRail has failed to increase the number and reliability of ticket machines on the concourse. People too often find these machines difficult and slow. I have used a ticket machine at Brunstane station for journeys to and from the Borders and found it perfectly OK. 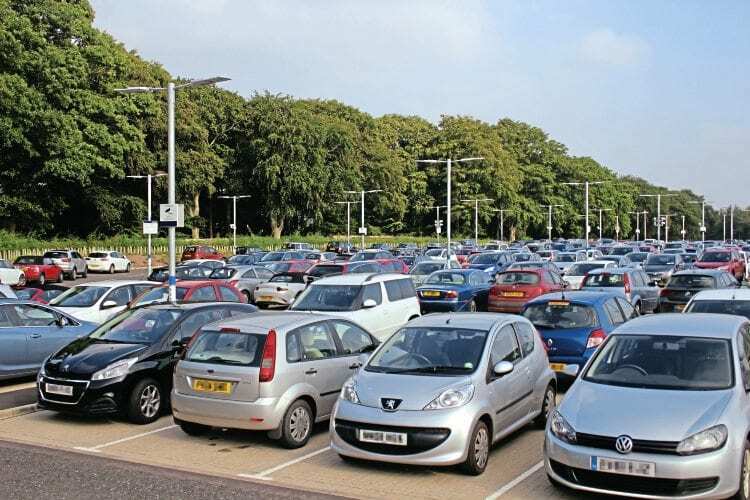 Car parks have filled to capacity from day one, and discussions are needed how best to provide more spaces. 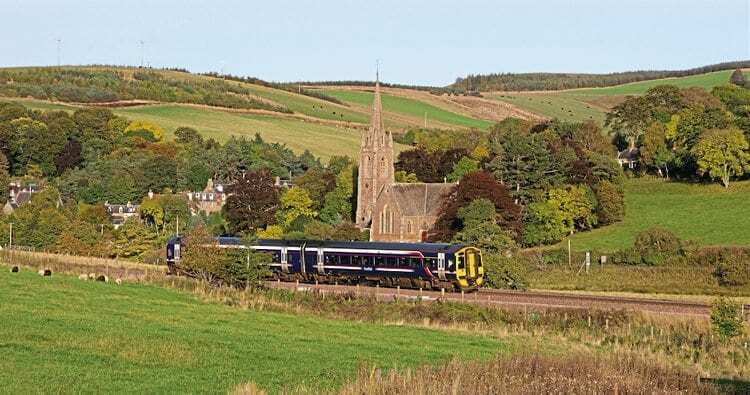 Q: Tweedbank has been criticised for lack of any passenger facilities – toilets and refreshments. I hear there is a solution. A: A new toilet and coffee place are planned to open at Tweedbank early in 2017 at the latest. The coffee point will also offer information. Q: The reduced lengths of the dynamic loops was a contentious issue, how best could that problem be resolved? A: The total length of loops is less than expected originally and this can have a knock-on effect when a late train in one direction can delay one in the other. CBR is making a case for more loops (not necessarily dynamic) to help pass trains with less delay. Q: Passenger figures at Gorebridge and other stations are lower than expected. Why is this? A: Shawfair also has low numbers because the station has arrived in advance of the development that it will serve (although the car park is already growing in popularity). Gorebridge has a frequent bus service (Lothian Transport) to and from Edinburgh at a much lower fare than by train. Also, local geography at Gorebridge is also significant, as much of the town is uphill from the station. Q: How well has ScotRail promoted the line? A: There has been promotion by various bodies, including ScotRail, but more can be done. I think there needs to be more promotion about places that can be reached by bus from the railway stations, at Galashiels and Tweedbank. Q: There has been much criticism of the infrastructure design that is restricting future enhancements. Can you explain? A: Transport Scotland has failed to future-proof the route by having some road overbridges built only wide enough for a single-track railway. Furthermore, there appears to be no current plan to ease the capacity-restricted approach to the east end of Waverley station. Trains have to be allocated limited track space as far away as Abbeyhill Junction, depending on platforms to be used at the station. There are two single-track tunnels under Calton Hill and the track layout prevents trains to and from one tunnel using platforms in the opposite half of the station. Network Rail plans for the period 2014 to 2044 take no notice of the Borders Railway as such, apparently because it was not open in 2014. Action is needed to reconsider that! Q: What about electrification in the future? A: The route was designed with ‘passive provision’ for future electrification; for example, clearances under bridges and through tunnels to allow room for wires to be erected in future. Electric trains would certainly accelerate from stations and climb hills more effectively. Meantime, Class 170 or other diesels would help. Q: What does CBR say to those who raised grave doubts that the line would be a success? A: We always believed that more passengers would use the service than forecasts suggested. Frankly, if the campaigners had been listened to, there would have been fewer problems now. The line has proved incredibly popular, especially for travel to and from the Scottish Borders. Q: What would CBR want to see happen in the next two years to build on the first 12 months’ success? A: We want to see the current line enhanced to improve performance. We also want to see a start made towards extension of the line to serve more communities directly. Passengers deserve the best. And those still without trains need a positive future on the tracks that must eventually come. A multi-modal study planned by Transport Scotland sounds like it will focus on roads such as the A1, A68 and A7. A study into extending the railway was promised and there should be one. Q: What are the real practicalities of extending south to Melrose and Hawick, plus the lesser population towards Carlisle? A: The worst problems have already been overcome to build the line between Edinburgh and Tweedbank. There are solutions to any potential future problems between Tweedbank and Carlisle, including ways past Melrose and through Hawick. The proposed study should look into these issues. Passenger numbers south of Hawick were already looking reasonably good when the line was axed in 1969. Since then, much has changed. I am in no doubt that a full railway route would gain a lot of custom, freight as well as passenger. By linking the Scottish Borders with England through Carlisle, there would be wide benefits.